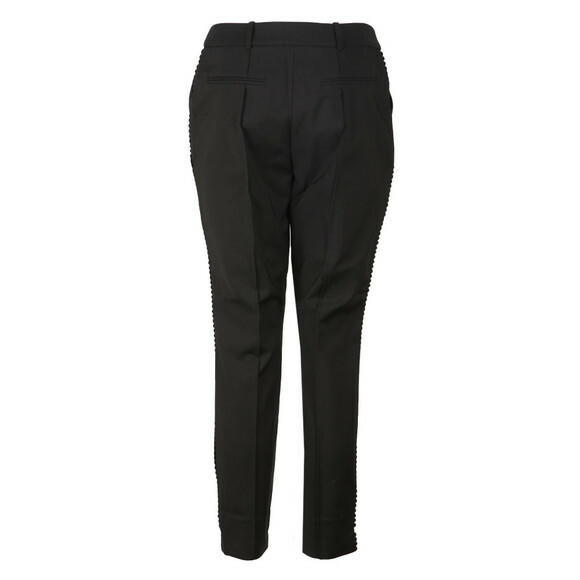 Ted Baker Anett Step Hem Ankle Grazer in 'black' is a cropped cigarette trouser that features a raised pleat to the centre for a smart, formal look. 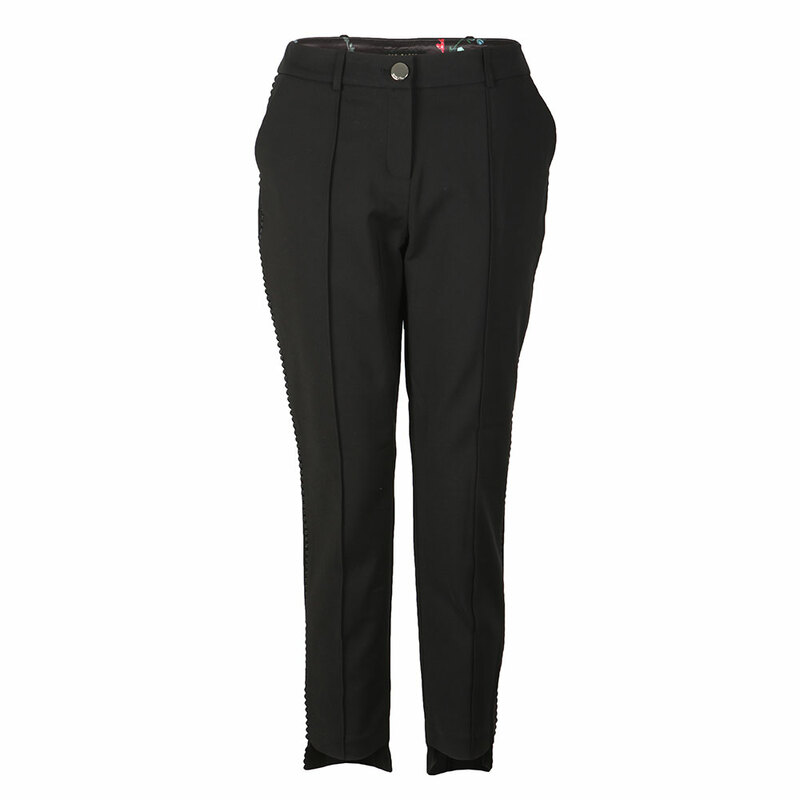 A pretty embroidered stitch to the outer leg adds feminine detail to the tailored look. The lowered step hem adds the effect of a longer leg.